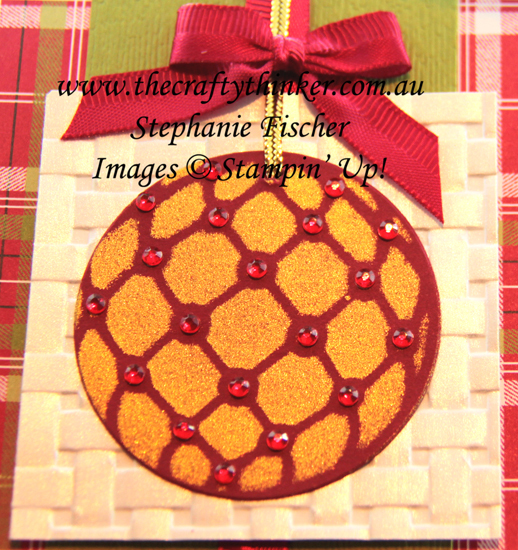 This is another of the stenciled baubles I made the other day with my home made stencil and Vegas Gold Shimmer Paint. All the instructions can be found here. Although my photos don't really show it, the basket weave pattern on the white square has been sponged with Frost White Shimmer Paint for even more glamour. 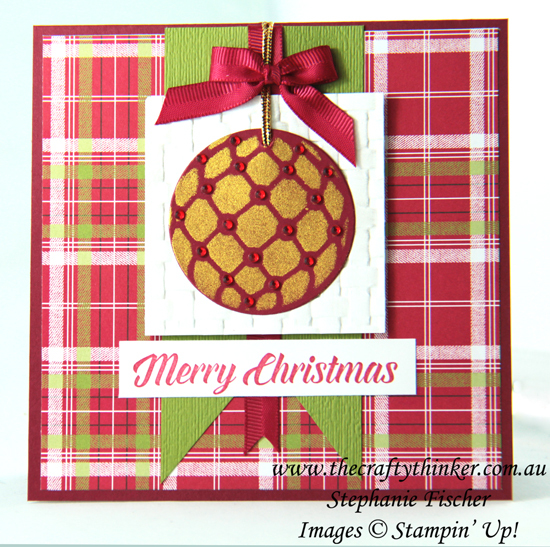 The two embossing folders used for this card are Subtle and Basket Weave. You'll find a complete list of products below.